With the SUV finally beginning to fade out of popularity, manufacturers are jousting to fill the power vacuum left by the former king of family hauling. The crossover is slowly beginning to emerge as a proper successor to the throne – serving up seating for everyone in the clan, a tall ride height and car-like driving characteristics. Luxury manufacturers seem to have perfected this recipe particularly well, but until recently Lincoln has lagged behind. Next year will see the introduction of a model Ford hopes will change all that – the 2010 MKT. The rig is technically based on the Ford Flex, though the engineers under the Lincoln star are quick to point out this is a whole new vehicle. The two share a massive, 117.9-inch wheelbase, but otherwise the MKT is its own beast, offering a completely different suspension and Ford’s all-new 3.5-liter Ecoboost engine. Eye-catching exterior styling and an interior that’s as spacious as it is attractive means Lincoln is ready to take on the luxury crossover segment in a serious way. Despite its size, the MKT has more than enough power to put a smile on your face thanks to its 3.5-liter, twin-turbocharged V-6. The well-tuned suspension carries the crossover’s weight effortlessly – delivering a smartly-damped ride that’s firm without being jarring. 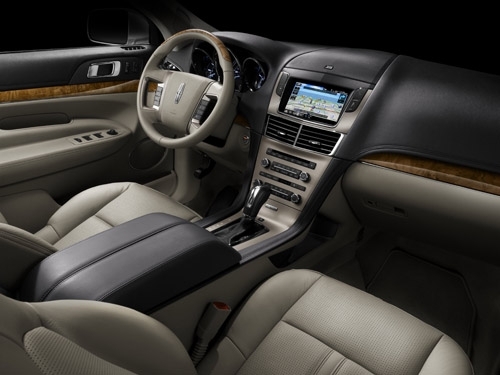 The interior is beautiful with warm, wood accents and high-quality leather. Though the MKT is technically a three-row crossover, don’t expect to fit full-grown adults in the last row of seats. The leaning rear hatch and tight legroom make for an area best left to children 12 years old and younger. 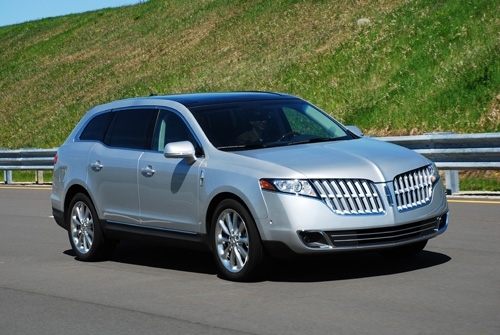 The massive, waterfall Lincoln grille up front may not be to everyone’s taste, either. Ford’s engineers have done an excellent job of providing a quiet, comfortable driving experience. Thanks to the 355 horsepower on tap, the MKT breezes right along, even as we surpassed 100 mph on the Michigan Proving Grounds high-speed track. The interior is kept serene due to specific attention to cabin noise reduction, and the result is a vehicle that drives much smaller than its body size may suggest. The suspension handles variations in pavement very well, working to keep the ride smooth but stable. The six-speed automatic transmission provides quick shifts that are nearly imperceptible during normal driving conditions, too. The icing on the cake is the MKT’s acceleration, which is deceptively quick, even in spite of the vehicle’s massive 4,924-lb curb weight. The MKT will be available with two engines – a 3.7-liter, naturally aspirated V-6 with 268 horsepower and 270 lb-ft of torque, but the really exciting news is Ford’s new Ecoboost engine. The twin-turbocharged, direct-injection 3.5-liter V-6 produces 355 horsepower and 350 lb-ft of torque while delivering solid fuel economy. Both engines are mated to a six-speed automatic transmission, but the Ecoboost mill gets an all-wheel drive system. The 3.7-liter V-6 comes in front-wheel-drive guise. 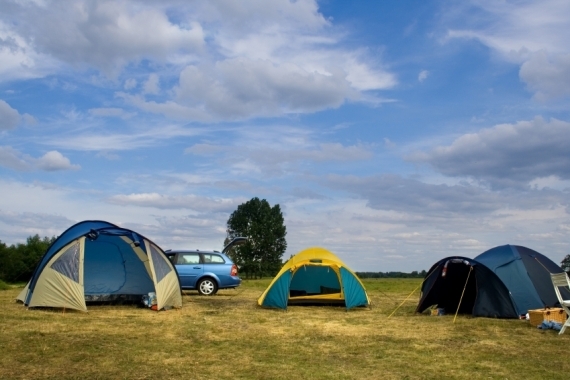 The 2010 MKT can be had with all of the creature comforts you can imagine. A compressor-driven second-row refrigerator is an option, as is a great voice-activated turn-by-turn navigation system. The MKT is also available with a radar-based autopark system that will parallel park the vehicle for you, and Ford’s SecuriCode system allows you to enter a personal access number to open the vehicle if you’ve locked your keys inside. 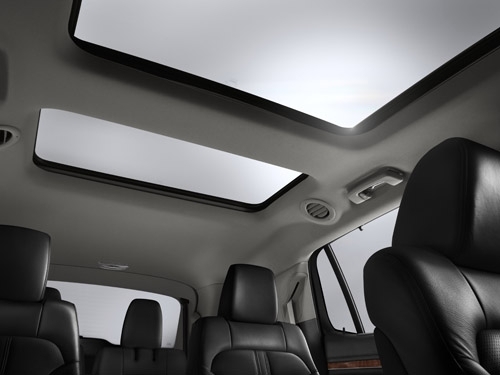 Each MKT comes standard with a huge panoramic roof as well. Aside from the voice-activated turn-by-turn navigation system, the MKT will also come with Microsoft’s SYNC, a great way to control everything from mobile media to hands-free phone calls by voice. Despite the MKT’s cavernous interior, the standard stereo offers rich sound and the available dual-headrest DVD players keep everyone in the backseat entertained. Thanks to Ford’s new Ecoboost engine, Lincoln projects the MKT should see around 17 mpg city and 22 mpg highway, though the EPA hasn’t released its official estimates just yet. 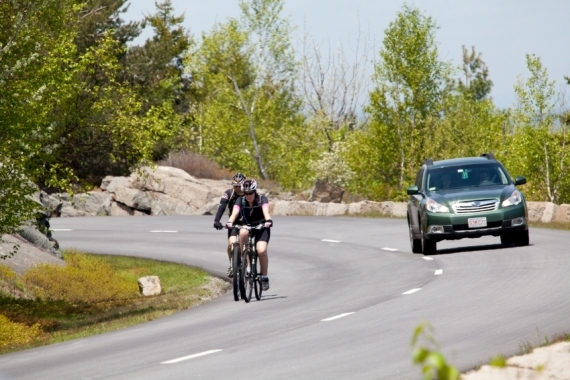 While at Ford’s test facility, the MKT Ecoboost returned around 24 mpg highway. Ford hasn’t released any details on the naturally-aspirated 3.7-liter V6’s fuel economy yet, either. We expect it to deliver slightly worse fuel economy than it does in the smaller MKS, so something around 15 mpg city and 21 mpg highway wouldn’t be out of the question. The MKT’s leather dash mirrors the crossover’s “bow wakeâ€ grille outside in a way that provides a nice symmetry without being heavy-handed. Handsome materials abound, and a particularly nice instrument cluster make the crossover’s cabin a great place to spend time. The huge panoramic roof lets in plenty of light, and seating is comfortable in the first two rows. 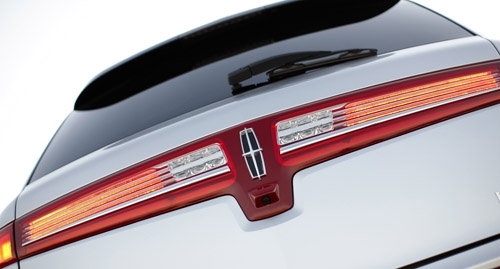 The designers at Lincoln have done a good job of fighting off the typical awkward crossover styling that plagues so many entrants in this segment. A bold, notched shoulder line harkens back to early Continentals from the late ‘60s, and the striking nose instantly identifies this vehicle as a Lincoln. Lincoln hasn’t released the exact figures just yet, but early estimates put the MKT Ecoboost at somewhere between $45-55,000. That means Ford’s gunning for the Cadillac SRX at $41,235, the Acura MDX at $40,990 and the Infiniti FX at $42,150, though the company made it clear it had no problem dipping into traditional SUV markets as well. Ford had an Audi Q7, priced at $43,500 on hand as a comparison vehicle. Though the exterior is unique and attractive in some eyes, it’s not going to be for everyone. 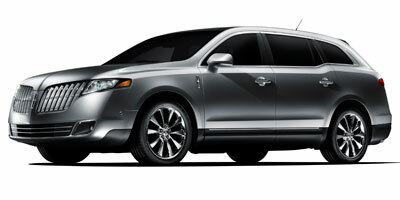 That aside, Lincoln has crossover killer on its hands with the MKT. The 355 horsepower Ecoboost engine makes the vehicle both entertaining and capable, and the fuel economy embarrasses other manufacturer’s offerings. The price isn’t for everyone, but given the level of drivetrain and interior sophistication, it’s worth it.